Do you know that one person or friend who always plays the victim card? It’s never their fault and it’s always someone else’s fault that they didn’t get the job or a good S.O.? A person who is always pointing fingers or blaming others for their mishaps and failures is one who lacks personal responsibility. Out of all the areas in your life in which you need to be responsible, being accountable for yourself and owning up to your actions and words is the hardest but the most vital. 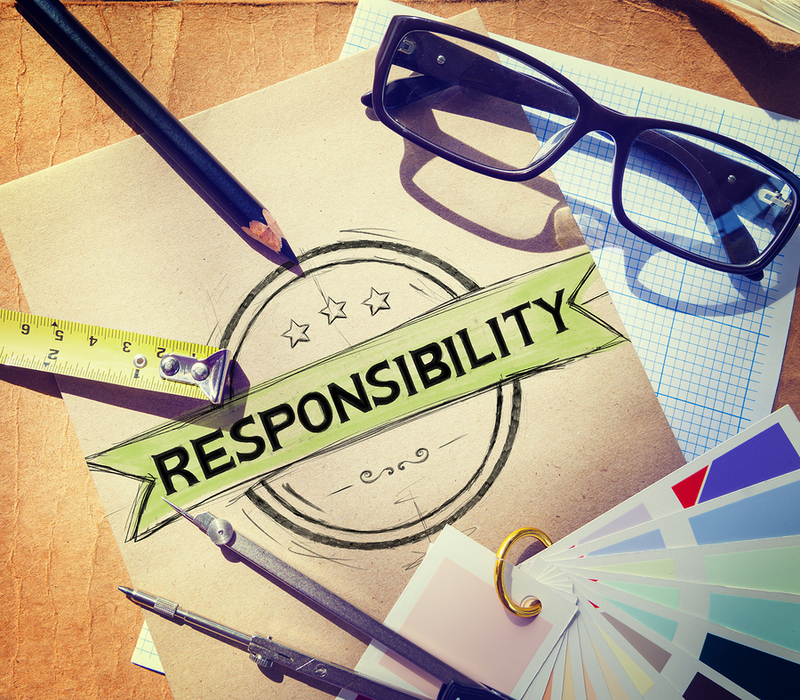 Here are some ways to practice personal responsibility and hopefully, it will turn into habit and ultimately your lifestyle. #1. Perform a self-evaluation before even considering outside factors. Doing a self-reflection or examining what it is that you did right or wrong will keep you from automatically putting the blame on others. Not only will it keep you from pointing fingers at others but it will help you to learn from your mistakes and you can work on improvement so you don’t make the same ones again. #2. Admit when you’re wrong or have done or said something to hurt someone. It can be difficult to own up to your mistakes or to “give in” and apologize for hurting someone through your words, actions, or both, because it requires humility, the opposite of pride. Being able to take responsibility for your actions and words is a big sign of maturity because it shows that you’re not letting them control you, but that you’re taking a hold of them. But do not do this for the sake of receiving compliments or some sort of praise or affirmation for doing the right thing. That’s not the point of owning up to your mistakes. #3. Face and gracefully take the consequences. In cases of infidelity or dishonesty, after you take responsibility for your behavior, you will probably get consequences and you need to face them and do the time. Whether it may be signing off divorce papers, breaking up or losing privileges at work, taking personal responsibility also means facing the consequences for your wrongdoings. Don’t go into the situation thinking that you won’t face some sort of consequence or that you won’t lose something or someone in the process of admitting guilt. #4. Take control of your feelings. Emotions are important and part of our human nature. But no one can make or force you to feel a certain way, no matter what the circumstances are. It’s healthy to express your feelings and to show them when necessary but it’s unhealthy to say that a certain person or people forced you to feel that way. #5. Whenever you’re feeling a certain emotion(s), acknowledge and accept. Avoiding and denying that you feel angry, sad, anxious or any other negative feeling, will only steer you towards pointing fingers at others for the way you feel. Acknowledging that you’re feeling sad after something devastating like a break-up and accepting that it’s okay to be depressed because of it is a big step towards taking responsibility for your feelings. When I went through the grieving process after my grandfather’s death, I started off with a cycle of denial and avoidance of the hurt and sadness because I didn’t want to face them. But once I was able to acknowledge that I felt that way and that it was okay because of the relationship I had with him, it helped me to move forward and to take control of my feelings. #6. Even when another person is at fault, don’t bring it up constantly. The best way to play the victimhood card is to dwell on and telling others repeatedly that another person is at fault, even if it’s true. Instead of just mentioning that it’s that person’s fault for what happened, add something positive or something that shifts the focus away from them.